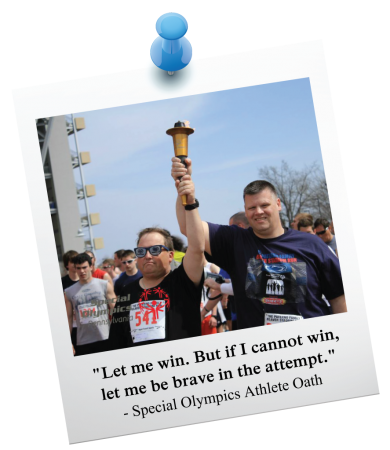 How Does Special Olympics Positively Impact Lives? In a study conducted by Yale University, Special Olympics was highlighted for enhancing the lives of those who participate. According to the study, athletes perform better at home, work and school the longer they participate in the program. The study measured such skills as the ability to live independently, hold a job, participate in community activities and develop close friendships. There are 381,071 individuals with intellectual disabilities living in the State of Pennsylvania; 5.2% are enrolled in the Special Olympics Pennsylvania program. It is very important for us to continue our mission and to provide opportunities for individuals with intellectual disabilities whereby they are accepted, respected, and given the chance to become useful and productive citizens. Your participation in the Beaver Stadium Run makes an impact! Thank you for making a difference in the lives of many. Visit www.SpecialOlympicsPA.org to learn more.